As someone who lives here in Mokena, Il I know just how severe the weather can be throughout the state of Illinois and it is something which we residents have had to get used to. Beyond the wind which we experience we can have a climate which plummets to minus 40 as it did last month, and then in a matter of weeks that temperature can climb back up again to around the mid 20s. As you can imagine then, every home here in Mokena, Il and across the state has both heating and cooling systems inside them. It is still not hot here in Illinois but it is the month where my mind starts thinking about the warm weather, and the need to have my cooling system checked out. I usually call the team at Integrity heating and cooling in March time, and here is why I do it so early. Eleven years ago it was the first hot day which we’d had in the year, it was mid-May and the sun was beaming down and the humidity was rising. I woke up in the middle of the night and went to switch the cooling on, and it wasn’t working. The team came out to check on the cooling system and they condemned it there and then, I needed a new air conditioning unit. Unfortunately at that time I had just paid out a huge amount for a tax bill and I simply couldn’t afford to buy a new unit. I was lucky enough to borrow a portable air con unit from a friend until I could afford to have it replaced. Shelling out for a new unit isn’t cheap and if you get the machine checked in March or April, it will give you enough time to save if needed. Until I was able to borrow a cooling system from a friend we had to suffer for 3 days in the burning heat and it was most uncomfortable. Most days I would go out just to keep cool and the nighttimes were definitely the worst. 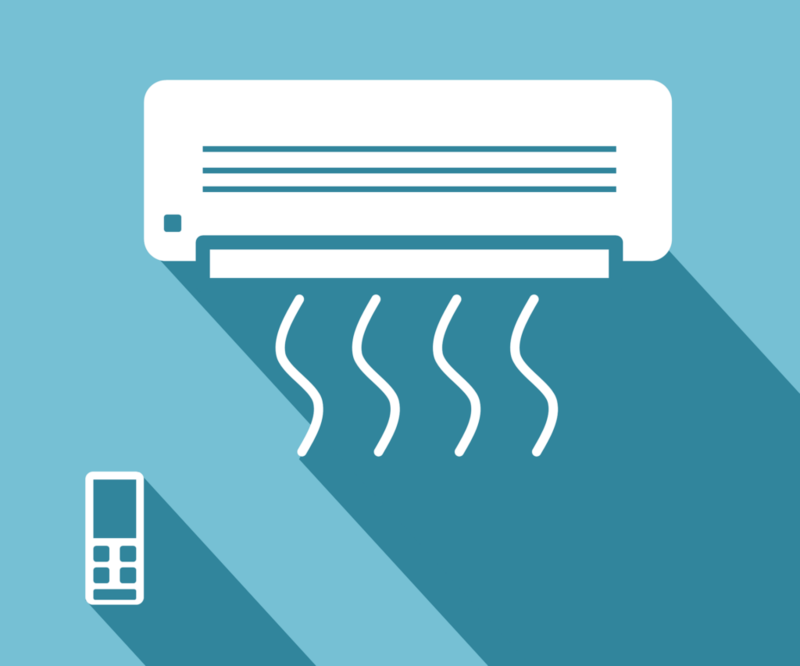 Air conditioning units will usually break down after a long period of inactivity which means that the first day of summer is often the most likely time for this to happen, when you need it the most. Get it checked out early and avoid the pain of a house which you cannot cool. If you need a cooling repair and it is the height of summer you can expect to be waiting around a while to have someone come out to look at it, and then to get the parts which you need. As you can imagine the summertime is the best season for cooling repair experts so it makes a lot of sense to get ahead of the curve on this, and deal with things easily in April. Those of you who’ve ever embarked on a DIY project know from first-hand experience that they almost never turn out the way you planned. You’ve probably created an in-depth, intricate blueprint of exactly what you want your new conservatory to look like, or how you want your new entertainment complex to look. In the end, though, that’s never how it happens; short-sightedness in the planning stage, unexpected twists during construction and other confounding factors mean you’re almost always sidetracked. There’s an unavoidable amount of change and alteration in almost any DIY project; those that go completely smoothly are rare, although they do happen. In order to help you at least try to prepare for as much deviation from the model as possible, we’ve put together a list of things people think about DIY projects and the reality of those thoughts. By reading this list, we hope you’ll be able to sidestep some of the more common errors. Let’s get started! “I’ll be able to source the materials cheaply,” say you. “I can easily find places which sell cheap furniture, and there’s bound to be something there that fits my specifications.” We’ve heard this countless times before, and although it’s an admirable way to think – being smart with money is always a great way to conduct DIY business – it’s almost never how things actually turn out. You’ll need to cover costs for tools, materials and other considerations, not to mention potentially paying electricians or plumbers if this isn’t something you can do yourself. You’ll need a decent amount of money saved up in order to start your DIY project. We’d strongly recommend looking into reputable, trustworthy loan companies to get a quick injection of cash for your project; these companies are flexible and safe, and you can worry about repayments after you’ve chased your dreams down. When planning a DIY project, the temptation is always to severely underestimate the amount of time it will take. If you’ve got a full-time job, you don’t want to fritter away valuable spare time on DIY projects, so you tell yourself you’ll get everything done within the space of a couple of weekends. Unfortunately, for all but the most minor DIY outings, the time frame you’ll actually need is likely to be much bigger than you plan for. Even if the actual scope of the work is small, you’ll need to factor in time for errors or breaks as well as simply becoming tired and needing to stop; spending your entire weekend doing DIY won’t feel good if you’ve only got two days before the daily grind starts again. Don’t expect the project to be done overnight and you’ll be fine. Your family might actually really want to be involved in the project with you. Carrying out DIY together can be a surprisingly effective family bonding exercise; allocating tasks and watching as they’re completed can show you a lot about your family’s individual personalities, as well as making you feel loved and wanted as they help you make your dream project a reality. In order to be prepared for the upcoming project, you may think you need to get everything and be fully ready for any eventuality. 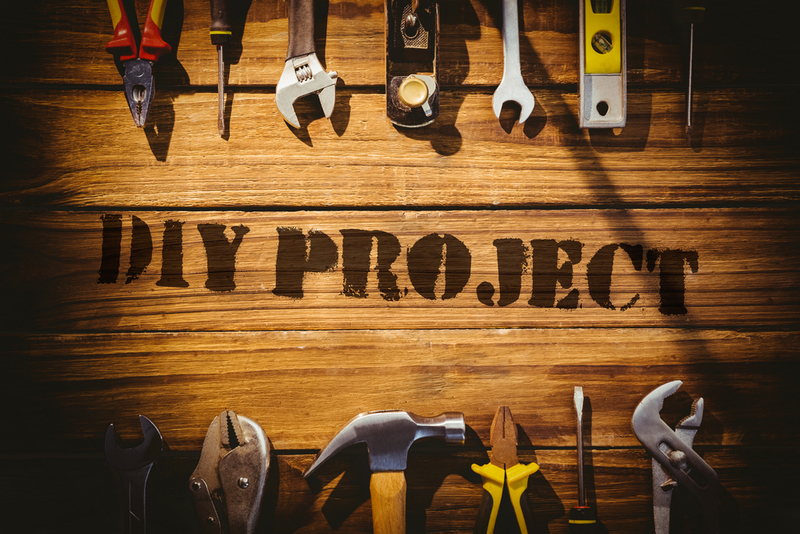 You might be browsing the shelves at a hardware store and get carried away, or you might want a toolbox which contains everything you could possibly need; either way, you’re thinking that you’ll never be able to carry out the project unless you’re perfectly prepared. Unless your project is a massive, elaborate undertaking, you’re likely to be OK with buying a small range of tools. Speak to the staff at the hardware store and explain what you’re planning to do (be wary of sales spiel, as usual), and they’ll help you choose exactly what you need. Better yet, ask around your nearest and dearest to see if anyone can lend you the tools you need; it’s always better to borrow things than to buy them, especially if you’ll only ever need them once! The idea to renovate and upgrade your home is one that many homeowners have taken to heart today. They want a new kitchen or bathroom, or to make their family room larger, or even add an additional bedroom. These are all great upgrades that can add to the beauty and comfort-ability of your home. One of the best home upgrades to make is to add new high quality flooring to some or all of the rooms in your home. Flooring has become a top renovation statement and is sometimes overlooked as a way to upgrade the look in rooms, hallways and other areas of your home. That is until the homeowner actually does the upgrade and then the reaction is that they regret waiting so long. There are many options for new flooring. Here are some of the most popular options for you to consider. In terms of the most beautiful and elegant type of flooring hardwood has virtually every other type of flooring beat. Hardwood flooring covers a variety of hard woods that range in color, style and have unique patterns. The wood planks come in a range of widths and are always finished with coatings that make the wood look beautiful and last for years. They can bring out the look of furniture, drapes and wall coverings improving the stylishness of each. In terms of upkeep, hardwood floors are easy to maintain with only a dry mop needed for cleaning. Dust and food will not stick to the floors. You will however every year or so depending on traffic have to get the floors polished. And must be careful however because the floors can scratch easily and deep scratches will require a professional to remove. Also you cannot let the floors get excessively wet or the wood will warp. If you are a bit careful, and do not put them in high traffic areas, your hardwood floors will last for decades and give you great service. 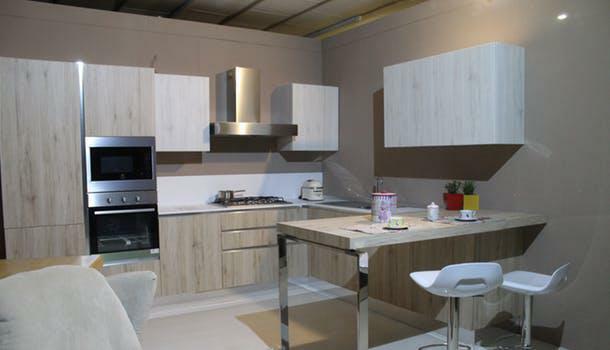 Engineered wood is manufactured by binding or fixing the strands, particles, fibres, or veneers or boards of wood, together with adhesives, or other methods. 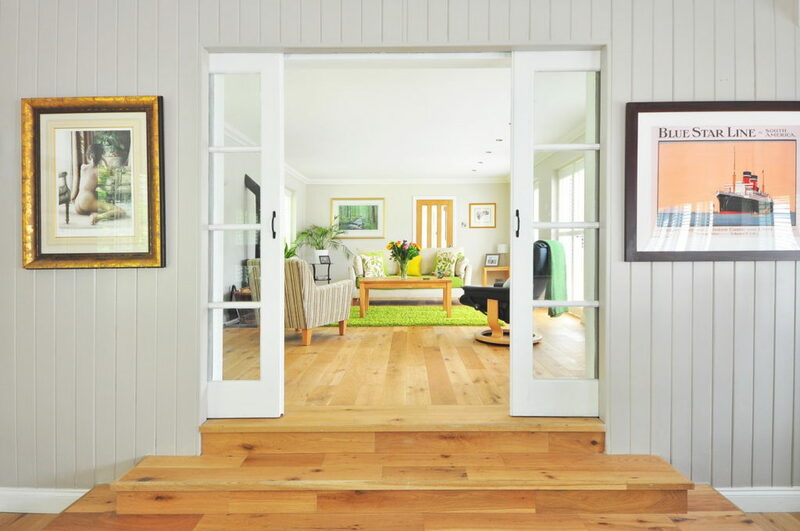 Engineered wood flooring is made from the same hardwoods and softwoods used to manufacture lumber. They contain a thin layer of hardwood on top and a plywood base beneath. Since engineered wood has a thinner layer of hardwood on top, it is not as durable as hardwood flooring. It can also chip of break more easily. 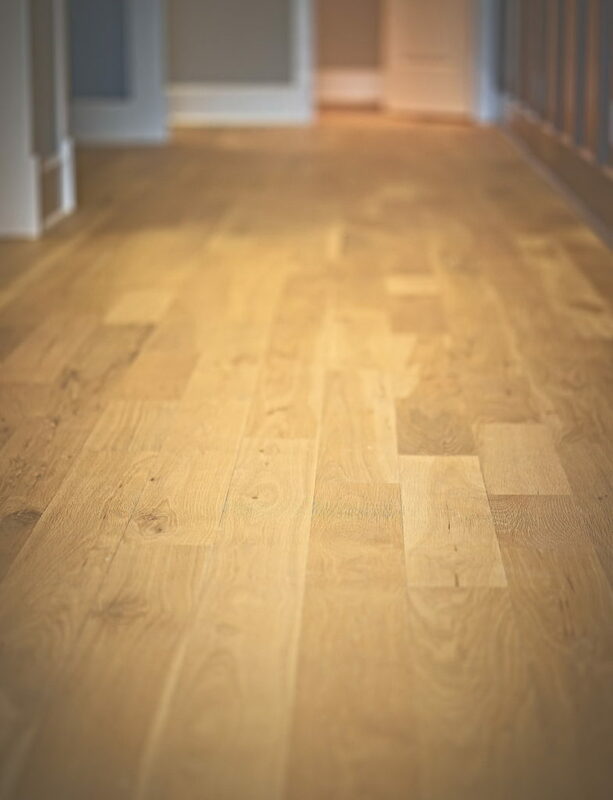 However engineered flooring does offer some advantages over hard wood. First, it can be purchased for less than expensive hardwood flooring. Also, is an excellent choice for areas where solid hardwood cannot be installed, like in basements, over concrete floors or over radiant heating systems. Engineered wood like Kahrs engineered wood flooring can be purchased in the most elegant styles and many that cannot be found in traditional wood flooring. It also is has advantages over carpet because it does not hold dirt or dust that can trigger allergies. Carpet has been a go to floor covering for forever because of its many positive attributes. It can be purchased in all price ranges. It is very durable and suitable for high traffic areas. Carpet comes in a huge range of styles and looks to match any room or furniture. And it feels great on bare feet. Carpet can be challenging because it can be difficult to clean especially if spills get into the padding. If it collects too many spills, carpet can begin to smell. It also collects dust and even with frequent vacuuming it can be difficult to fully clean. There are however some great carpet cleaning services that can deep clean carpet and make it seem like new. In the end carpet remains so popular because of its versatility and look. Although each flooring choice has great benefits, it may come down to the look and feel of the flooring you want in your home. Experiment with samples of each and you will discover the perfect choice. 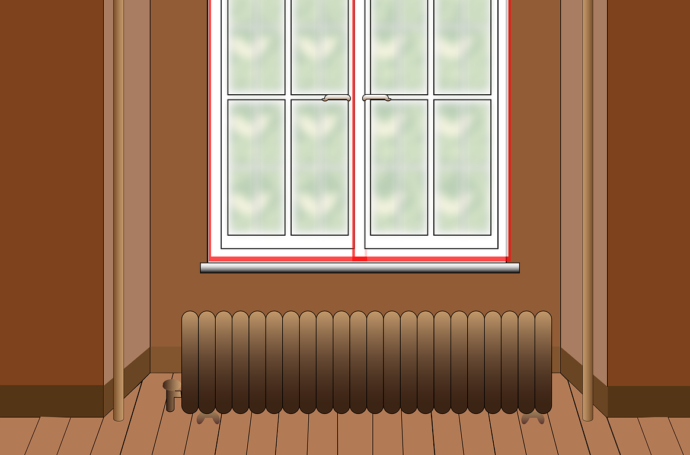 Heating in the home is one of the most critical features for any family home. Whether it be a simple electric heater to lavish wood burners, generating heat in the home helps enhance the relaxed and secure atmosphere that you should feel in your own home. However recently there has been a rise in under floor heating, but what is this and what benefits does it offer. Underfloor heating is a novel and extremely convenient alternative to radiators and heaters, utilising heated mats laid underneath your choice of flooring to generate heat that rises up from the ground. This system can use either electric wires or mats and water pipe system to generate heat. The big advantage of underfloor heating is the added convince it provides, no longer requiring radiators and heaters to be placed on the floor where you can stumble over them by accident. This convenience goes further as using heated mats for instance, you can easily install it along with some new wood laminate flooring – making it ideal for home renovations and rebuild projects. Another benefit to underfloor heating is how is allows you more flexibility for generating heat within the home. A study carried out by which found that 55% of their survey responses stated that, they installed underfloor heating in the bathroom. This is understandable as electric heaters cannot be placed in the bathroom, with the only other option available being central heating. However, with underfloor heating you can have sufficient heating in your bathroom, perfect for cold nights where you want to keep warm after getting out of the bath. This is also offers a fantastic design opportunity as you could replace your old vinyl tiles with stylish white laminate flooring, creating a unique bathroom design. However there are some factors to look out for with underfloor heating. The first is the heating range available. 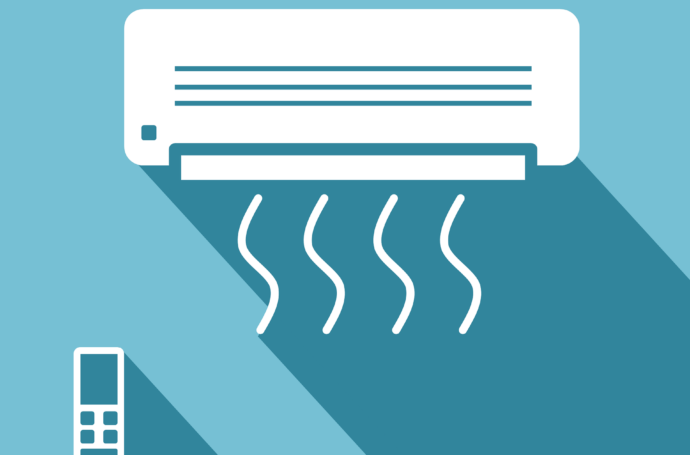 Depending on the size of your system the heat generated may not be capable of sustaining adequate room temperature by itself. Therefore, you will still need further heating options available in the room. Another drawback to consider about underfloor heating is how long it takes to generate heat. Unlike electric heaters and radiators which offer near instantaneous heat, underfloor heating takes longer to begin generating heat. This is especially the case with water-based systems, with the water needing to be heated and then travel through the pipes. Finally, there is the instillation of underfloor heating itself. For those renovating their home, underfloor heating is a great option to go for. 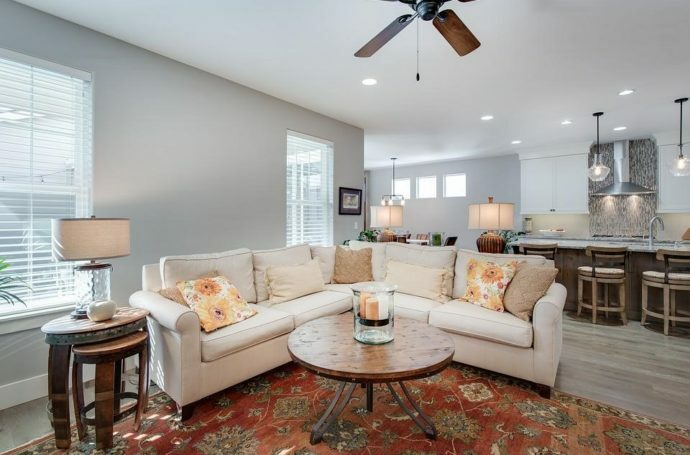 This is because the floor will be in the process of being replaced, and most home flooring options such as oak laminate flooring accommodate such systems. 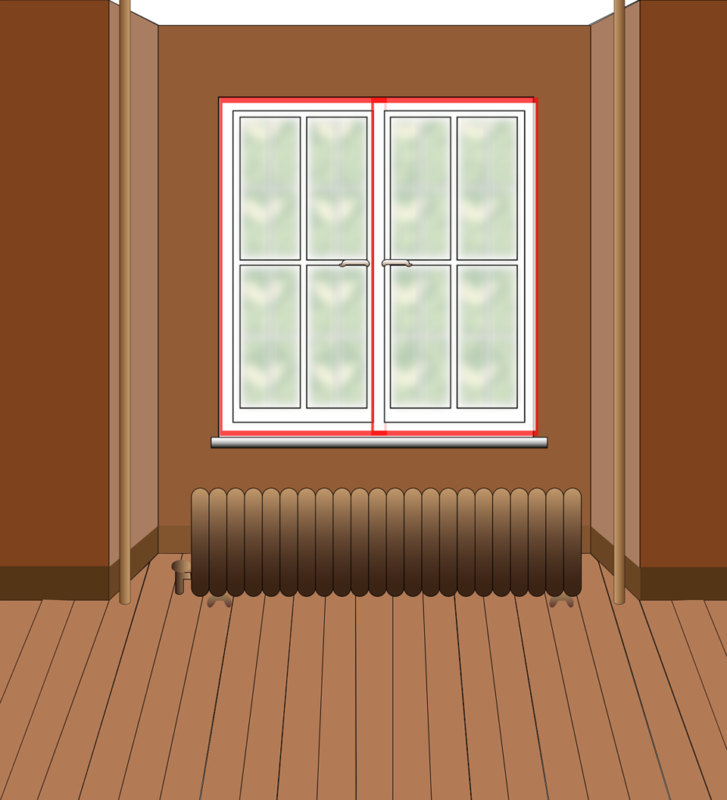 However for those who are retrofitting, installing the new heating system may not be worth the hassle. This is because the original floor will need to be uprooted which could lead to complications and potential damage to your original floor. This could lead to further expense, more so if your floor is incompatible with underfloor heating systems. However the convince and luxurious feeling of underfloor heating could outweigh there potential pitfalls and improve the atmosphere in your home. You want to decorate or redecorate your home, but you know you cannot afford a professional. That’s okay, because many people have found ways to get it done themselves. And you don’t have to spend a great deal of money, either. Here in this article, we’ll show you five ways you can decorate like a pro. Hopefully, you’ll find something you can put to use. The very first thing you should do before setting out to become your own decorator, is to figure out what you like. Whether it’s furniture, lighting, accessories, get a feel for how you would decorate your home. We’re also assuming here that you have already determined the budget for your decorating adventure. If you haven’t done so, now is a good time to start. With the budget figured out, now you can get out and invest in the items that you like. If you’re planning to arrange furniture with a focus on an area of the room, consider arranging your items over an area rug. This will help the arrangement appear more unified. Area rug sizes vary by room, so choose carefully. You don’t want the rug to be too small or too big for the room. Another rug idea is to use a long runner, a couple feet wide and several feet long. These can be great for traffic, especially near your front door, and can add a little punch of color. Order is always “in order” in a household. Keeping your home organized really enhances the decorative things you do. Some of your decorative choices could actually double as storage items as well. If you have clutter, get rid of it. Anything you don’t need or haven’t used in a year or more, get rid of it, or store it out of the way. If you have something you don’t want to throw away, but someone else can use, give it to them. You want the focus to be on your décor, not the items taking up the extra space. Plants can do a lot for a room. They can add some color, especially in the case of flowers, but anything green will do – just don’t overdo it. Plants will also put oxygen into the room as well. In your kitchen, you can do something a bit different, although it makes sense. You might have fresh herbs in the kitchen anyway, so arrange them in some decorative fashion. Lighting is a very important part of your décor as well. Lighting can highlight certain areas of your home. Using a dimmer switch with your lighting choice can help you adjust to any “mood” like you might do in your dining room. Lighting is not limited to electric light, however. Bringing in natural light is always a good idea if it can be done. The most common way to do this is to add a skylight – sometimes more than one. So figure what you like, adopt decorator ways through the use of area rugs, organization, plants and lighting. You will soon be decorating your home like a real pro! One of the few things that we tend to work for and invest a significant amount of time and money in is our homes. Whether it’s to improve the comfort of our humble abodes through functional upgrades or adding fixtures and furnishing to make it much more aesthetically pleasing for guests, changes and enhancements are commonplace in the lives of homeowners who have the resources for it. While it certainly helps to have a lot of funds, you’ll be surprised that adding luxury to your home can be achieved with even the most modest of budgets. Here are a few top tips to keep in mind that are sure to minimise expenditure but maximise the results. Bathrooms are arguably the most important areas in the house. In fact, most real estate agencies will tell you that the state of these rooms can oftentimes make or break the value of a property. To this end, there’s no better place to begin adding luxury to your home than by giving these areas some reasonable upgrades. For starters, the addition of walkin shower enclosures not only enhances the look and feel of a bathroom but also serves the functional purpose of keeping things nice and dry. Illuminated mirrors and electric shower units can also make all the difference when it comes to use, with the former preventing clumsily fumbling for the light switch at night and the latter making the act of bathing far more convenient. Best of all, these additions won’t break the bank and should leave more room in the budget for other additions and improvements. Everything deteriorates with time, and this can make any interior look shabby and unloved. While you would rather have the walls replaced or repainted, the materials and labour costs can easily put a dent in if not break the budget completely. A cost-effective way of overcoming this obstacle is to use wallpaper instead. Not only is it relatively inexpensive, but its installation should take no more than a morning’s work and a few household items. Despite all of the things that the modern world has brought us, many people still prefer the antiquated look of old items such as furniture. With prices on the rise with newer variants, an economical approach would be to have the old furniture refurbished or refinished instead of replacing it completely. The patina can oftentimes be much more eye-pleasing than more sleek and modern counterparts, and it can be good for the environment too. There’s a common misconception that luxury is determined by high expenditure. However, it doesn’t necessarily require a huge budget to attain it. With no more than a small investment of time in research and labour, there’s no doubt that it can be attained by anyone determined to add luxury to their home. Sometimes your house just needs a ‘pick-me-up’. Yes, as strange as that sounds, if you think about it long enough you’d see the truth in it. We tend to get bored with having the same old look we’ve always had. Often, the remedy is to make a few small changes here and there. A change in the color scheme, for instance, can instantly lift the mood of each room, changing a dreary atmosphere to bright and airy. Another example is the demolition of walls to join rooms together, this can create more space, better ventilation, and make the home appear larger. So, yes, maybe your home doesn’t need to be completely renovated. It just needs a few simple additions. The glass railing is an installation that can significantly improve the look and feel of your home. Glass railings are a beautiful, natural, classy addition to your home. They give the illusion of more space, add more light and brightness to your rooms and look gorgeous while doing all of that. They are a modern addition that will definitely make your home stand apart from the rest. The addition of a glass railing might seem like a little change. The impact of this little change, however, is tremendous. 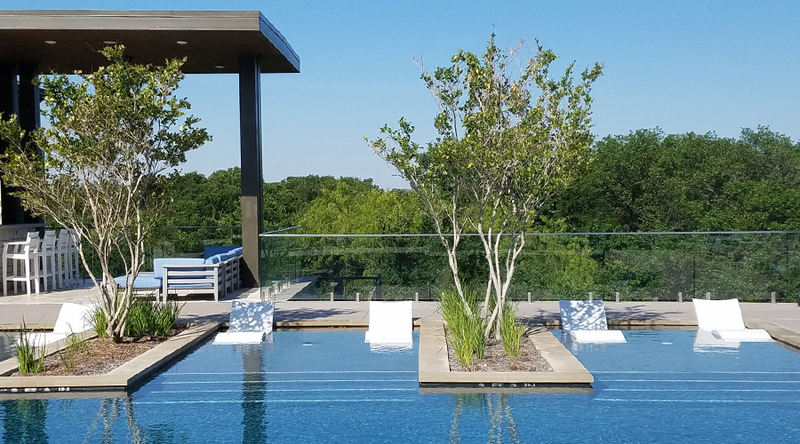 Here a few benefits of installing glass railings. There’s probably nothing more irritating than paying for a view you cannot see. The prices of most homes tend to go up at a rate almost proportional to the view it affords. Installing a glass railing instantly opens your eyes and gives you direct access to the beautiful vista you paid for. Changing your existing railings to glass could also open your eyes to soothing sites you probably never noticed. 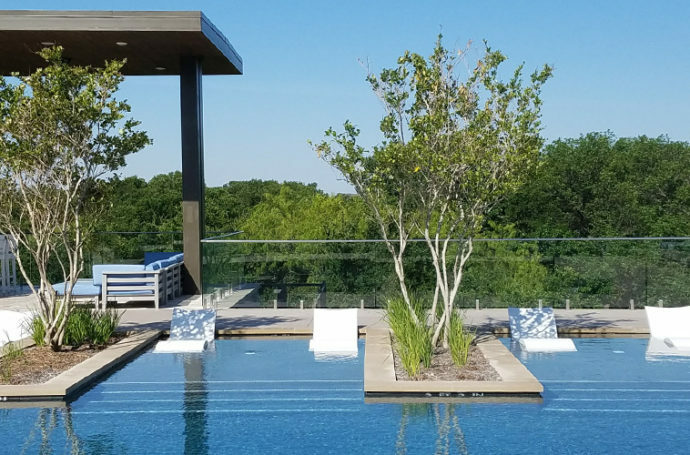 If you live in a region with beautiful natural landscapes, getting a glass railing would open your senses to things your wood and metal railings blocked you from. This is because glass railings are obviously made of glass. They are very easy to take care of and maintain. As all they need is an occasional wipe down with mild soapy water. They are also cheaper in the long run as they do not require painting or replacement. Also, they neither rust nor corrode and for this, they are the perfect long-term investment. Because of how delicate and gorgeous glass looks, many people feel like it’s a disaster waiting to happen. Fortunately, the glass used in railings has been tempered and strength-treated. This makes them strong, sturdy and durable. They have been reinforced and coated to ensure that they can withstand extreme weather and force. It is in our best interests to begin to care for our environment and glass being a chemically inert and easily recyclable object is eco-friendly. Glass is made from the heating and cooling of sand at extremely high temperatures and as such can be termed a natural product. 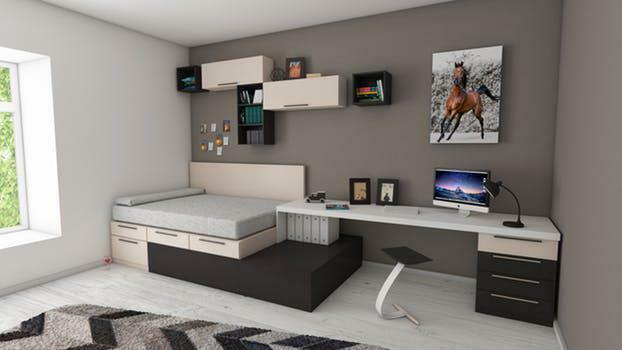 If you have bought a new apartment recently and want to design its interiors on your own, you need to use your inventiveness to the fullest. You can’t design beautiful home interiors until and unless you have a basic idea of how furniture, colors, textures, and patterns work together to create a fine balance in your space. We all aspire to have a picture-perfect house but fail to understand the fact that our strong involvement is very important when it comes to decking it as per our requirements. For creating unique and spectacular spaces you have to think beyond your imagination and implement out-of-the-box ideas. Whether you believe it or not, your creativity has the potential to bring a world of difference in the way you adorn your house. If you use it accordingly you can surely create magical interiors. One of the most important things that you must keep in mind while furnishing your house is you should give equal attention to each room. If you give additional importance to any particular room over others, it shows that you have little knowledge about creating balanced spaces. So, if you are planning to deck your house from scratch, here is what all you need to buy. 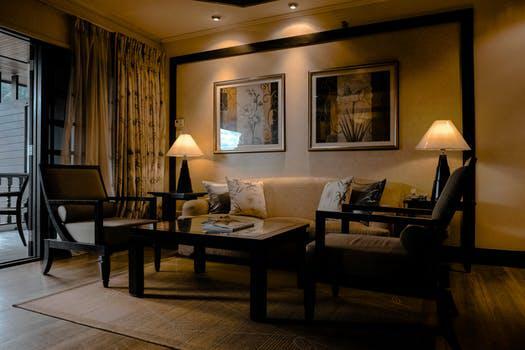 While designing a living room, you must focus on the comfort quotient at the first place. Order the kind of pieces that can liven up your space and can offer great comfort to you and your guests. A couch remains an integral part of living room furniture and hence you should try to order the best one for your house that comes under your budget. When it comes to creating a perfect seating space in your living room, you can either choose a love seat, a sectional sofa or recliners. In addition to that, you can also go for a sleeper sofa, if you have a small house. Apart from a couch, the other important living room furniture pieces include a center table, armchairs, ottomans, and sideboards etc. 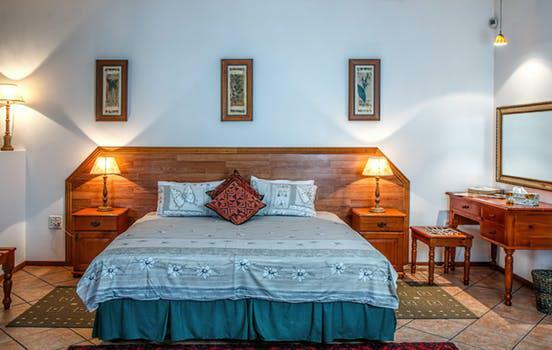 Depending upon the availability of the space in your room you can order the pieces that you feel are important. Once you are done with deciding what all you require for your living room, you then need to concentrate on your bedroom. When it comes to decking your bedroom, the first thing that you should buy is a quality and comfortable bed. Some people easily get attracted to expensive furniture and order it immediately without giving a thought to their actual requirements. You need to save yourself from such conditions. Before ordering a single item, you have to analyze which are those pieces that are truly important for you. Apart from having a bed that can last at least for a decade, you also have to buy a cupboard (wherein you can arrange all your clothes) and a dresser and mirror. No one can do without a dresser and mirror, so that’s very important for you, after the bed. While ordering the furniture for designing your personal space, you have to think more about your own taste. After designing your living room and bedroom, you now have to think about dining room furniture. When it comes to buying those elegant pieces for your dining room you will be spoil it for choice. Nowadays, dining tables are available in multiple designs and styles, all you have to do is consider the size of your room and then order a perfect piece for it which serves the requirement of your family in the best way possible. While buying a dining table you have to give a lot of importance to the material because it affects its durability. The other important pieces that you must include in your dining room are servers, buffet, and display cabinets. If you are blessed with lovely kids, it’s important for you to design a comfortable space for their personal use. Your little ones love to spend a lot of time in their own room because that’s the place where they enjoy the maximum freedom in the house. Deck your little ones’ room with quality kid’s furniture so that they can enjoy the ultimate comfort. You can involve them in the shopping process if you want to make them really happy. Kids have their own taste, so it’s better to order furniture for their rooms after consulting them. Last but not the least, no matter what kind of furniture you buy for your house, you should always give sufficient importance to its color and texture if you want to create glamorous spaces. The great benefit of homeownership is the potential the place has for improvement. Standing in the back or front yard, owners can envision creating a simple lawn that can be a retreat during the lazy summer months, or designing a garden wonderland for year-round enjoyment. However, do not forget the inside, where opportunities abound to use the space in creative ways. While the vision of the home materializes, the actual task of completing these tasks might seem daunting. 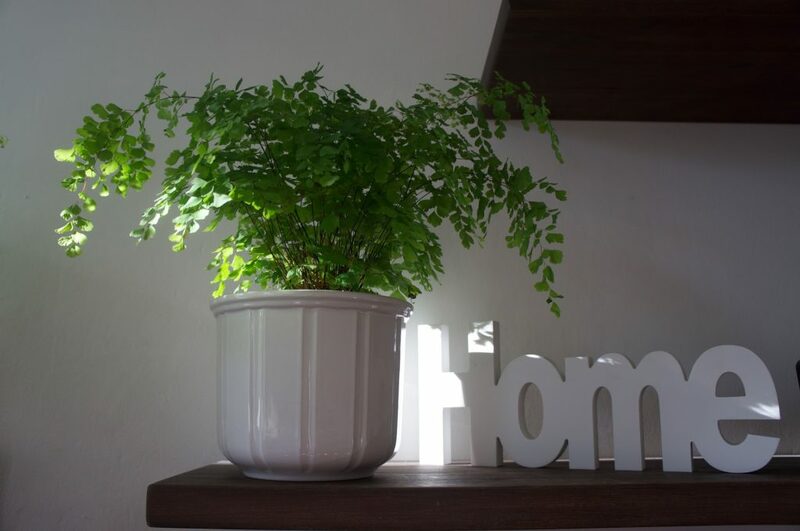 Surprisingly, though, simple DIY projects can really transform the look of the place. One major change that can transform the look of home is the paint. Whether painting the interior or the exterior, repainting can freshen up outdated, dull or cracked paint. Before completely changing the color of walls inside or outside the home, paint a test area to make sure the color and the effect is what you desire. 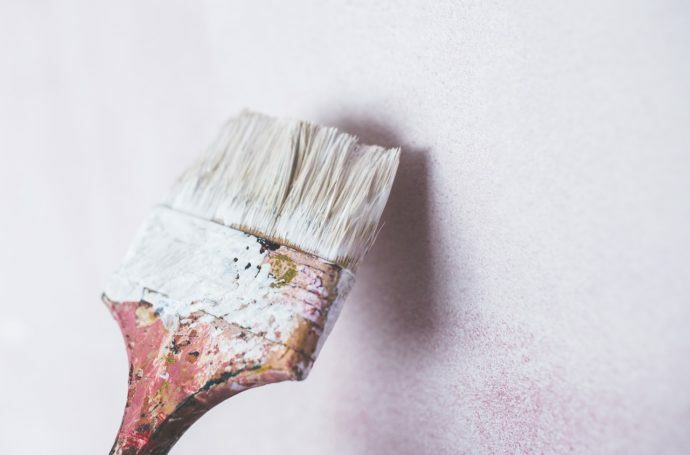 When purchasing paint, make sure to purchase a small can of white primer, which can be tinted the same color to help blend in the outer coat. Another task to complete just before painting is washing the walls to remove debris. Owners have flexibility in color choices as well. As for painting indoors, consider the type of lighting the room/s gets during the day. If the room is heavily shaded, bright, cheery colors (pastel colors) might be more appropriate because these colors will make the room appear larger. Conversely, if the room gets a lot of light, darker colors would work to lessen the impact of the light in the room. Homeowners can also play around with the trim by painting it a lighter or darker shade than the colors on the walls. For outside color schemes, homeowners should look at the colors on the homes in the neighborhood and then choose a color in that spectrum, so the exterior paint does not clash with other homes in the neighborhood. Also, look at the environment for cues in choosing color. A shade of green might work on a home in a heavily shaded area with a lot of flowers as opposed to a home on the beach. Another DIY idea to makeover a home would be to maximize space in the home. Look at areas underneath the stairs, in the living room itself, and in other storage areas as opportunities to create needed space. The space underneath the stairs can be converted into a wine cellar, a reading nook, a small library or even place to store shoes, coats and other items that usually sit in front of the door. Space in the living room can be maximized by converting a plain door into shelving that opens up into a hidden room. Recapture that love of superhero adventure by converting plain doors into bookshelves or even artwork that accesses a hidden room. Maximize attic space by converting the room into a bedroom, study or something purposeful. Any of of these ideas to maximize space in a home are DIY projects that can be undertaken with a little planning. Making over the appearance does not necessarily require changing everything in a home, as even small changes in the home can drastically change the appearance. Simply changing out window coverings such as blinds or curtains and installing DIY shutters can drastically transform the appearance of a room. Also, installing light fixtures such as colorful chandeliers, faucets, door handles or cabinet ware can dress up a space. In the kitchen, refresh the look of wooden cabinets by either refinishing them in a different shade or painting them a different color. Use potted flowers and plants to add a dash of flair to living room and bedroom space. 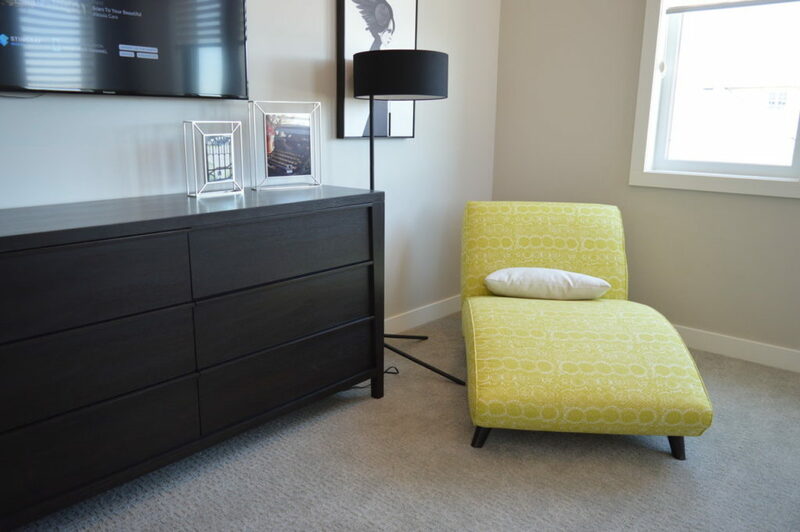 Get creative in the living room by purchasing furniture that is textured or that adds a pop of color to the space. For example, in a living room that has muted blue or green color furniture, a glass coffee table or china cabinet, both with bright red or pink metal framing, will accentuate and give style to the space. On the patio and in outside walkways, placing potted plants and flowers on the porch can give the home a more comfy, cozy appearance. makeover the home. Homeowners who want to update the look of their home but are unsure of how to approach the project can make small changes that make a big difference. At some point, the home they envision will match the reality that is before them. 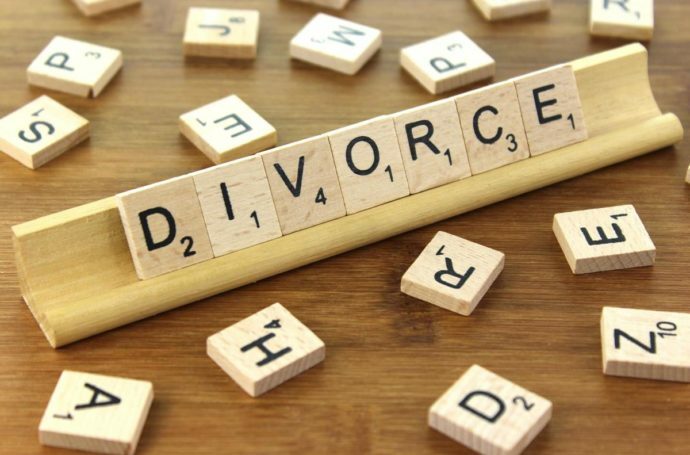 Divorce is an unfortunate fact of life which takes place on a daily basis and it can be a very upsetting and emotional time for everyone involved. Most at risk throughout these proceedings are children and the separation of their parents can leave scars which can stay with children forever. 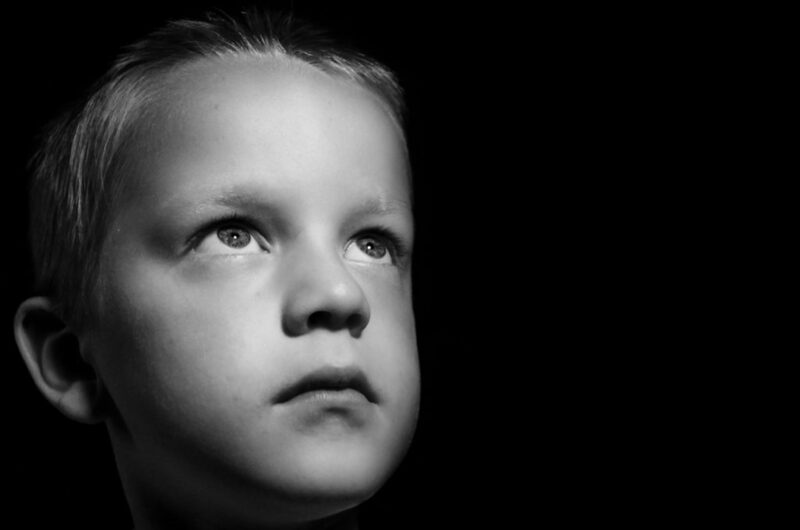 The damage of a divorce on children can manifest itself in many different ways and it can very easily alter the course of your child’s life, if not managed in the right way. If you are going through a divorce at the moment, here is how you can best help your child to come out of the process as unscathed as possible. In order to manage your child’s emotions in the best possible way, you must ensure that everyone who is involved in these proceedings, has the child’s interests at heart. Regardless of what your relationship is with your partner, or soon to be ex partner, you must make sure that you are both on the same page regarding your child’s wellbeing. You may both agree to have your real-estate property named after your children as new owners through a quitclaim deed form. Doing this will not only lessen hassle of dividing assets during divorce but will give benefit to your heirs as well. It is also important that you hire excellent family lawyers who have a wealth of experience in divorces and can offer you excellent advice and support throughout the process. Children are not stupid and you should never treat them as such, they will know that something is going on and you should not hide the facts from them. This is not to say that you should expose your child to all that is going on but they should be aware of the reality of the situation. It is your responsibility as a parent that you create an open environment with your child that will make them feel comfortable asking the questions which they have in their heads. If a child feels as though they cannot talk about what is going on, they will have many unanswered questions, draw conclusions which may not be true and they could even push emotions down, something which will not be helpful for them. Whilst a divorce is a completely abnormal situation, you need to do your best that your child is living as normal a life as you possibly can. Make sure that the school run remains the same, they still do the things that they normally would and general create as little upheaval as you can when it comes to your child’s home life. This is not always easy but if you want to best protect your child, you must try to aim for the most normal life for them as possible. Whether your relationship with your child’s other parent is amicable or aggressive, you must never speak badly about them in front of your child. Doing this not only sets a bad example but it also puts your child in the middle of both parents, something which can never end well. If you have ill-feelings towards your ex-partner then either keep it to yourself, or make sure that your child is not around when you are discussing it.